2013 was an excellent year for movies. 2014 seems like a mixed bag so far. There are a lot of solid releases coming out down the road. For now, I feel pessimistic. Then again, it is easy to feel that way in January and February when studios focus on the Oscars and release all of the movies they have no faith in. The Grand Budapest Hotel- As they say in the movie “Jerry Maguire,” you had me at Wes Anderson. I am always excited for what Wes Anderson has to offer, because I know it will always be weird, funny, and refreshing. Plus, “The Grand Budapest Hotel” has an amazing cast of people who have worked with Wes Anderson before (Jeff Goldblum, Bill Murray, Harvey Keitel), and those who never have (Ralph Fiennes, F. Murray Abraham), but will feel right at home in Anderson’s universe. Muppets Most Wanted-The last “Muppets” movie was so good that it made me remember why the world needs The Muppets. They are silly, brimming with anarchy, and way smarter than they seem. Unfortunately, Jason Segel has no involvement in “Muppets Most Wanted.” However, the involvement of the guys behind “Flight of the Concords” is promising enough. Plus, the moment in the trailer where Russian-accented Tina Fey trips on a stool already had me laughing like a mad man. 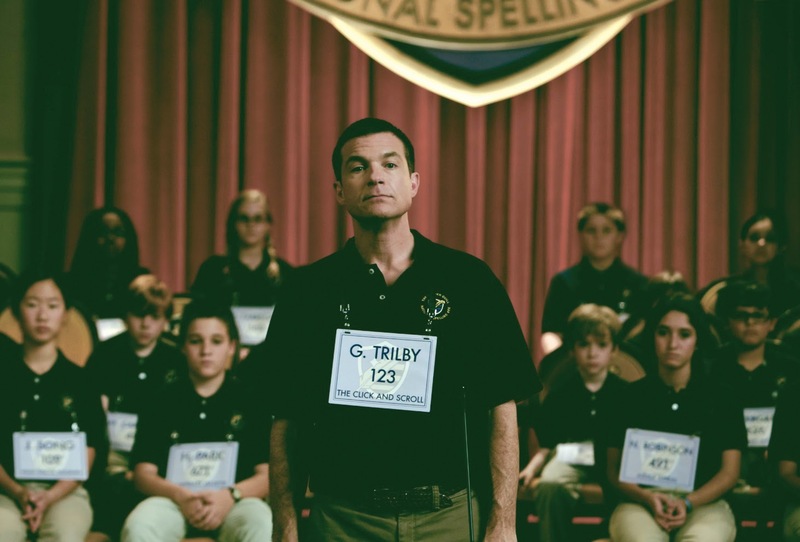 Bad Words- The fact that “Bad Words” is Jason Bateman’s directorial debut is exciting enough for me. But the fact that the whole movie seems to be Bateman yelling and cursing at little kids is exactly what everybody needs in their lives. Interstellar- The trailer for “Interstellar” doesn’t say much; it’s just Matthew McConaughey reading a bunch of inspiring words about space travel. However, “A Christopher Nolan Film” is about all I needed to see. All of the personal projects that Nolan puts out in between Batman movies (“The Prestige,” “Inception”) are always as fascinating as they are groundbreaking. I will definitely be there opening weekend to see “Interstellar,” just as soon as this top stops spinning. Sin City: A Dame to Kill For- I am a huge fan of the original “Sin City,” which is a Tarantinoesque tilt on comic book heroes and villains. Miller’s graphic novel series is excellent (I’ve read a few) and it lends itself very well to film. “A Dame to Kill For” will fulfill your need for black and white films that keep the blood red. That Awkward Moment-Miles Teller and Michael B. Jordan are both way too talented to be starring in something that looks this crummy. Seriously, “That Awkward Moment” looks like a bunch of hashtags that are poorly cobbled together into a movie. And the saddest part is that this might really hurt Jordan’s career, given how close this film comes out to the Oscars. Jordan could get nominated for an Oscar for “Fruitvale Station,” but I sense an Eddie Murphy Effect in the air (Eddie Murphy was a frontrunner to win for “Dreamgirls,” but the fact that “Norbit” came out so closely to the Oscars probably hurt his chances). Paranormal Activity 5-Yes, there are TWO “Paranormal Activity” out this year. The first one, “The Marked Ones,” is a Hispanic spin-off. I don’t know what “Paranormal Activity 5” is, and don’t really plan to find out. I am not a fan of the “Paranormal Activity” franchise, as well as found footage in general. While I respect horror films that respect the fear of what we can’t see, I don’t like horror films where I don’t care about what happens to the annoying yuppie characters. Think Like A Man Too-I have never even seen “Think Like A Man” but I have had it up to here with sequels that have variations of two in the title. Whether it’s 2, too, or to, you’re not fooling anybody. A sequel is a sequel no matter what your perception of grammar is. I, Frankenstein-Poor Aaron Eckhart. How did such a talented actor end up being cast in such a catastrophe? Turning Frankenstein’s Monster into a gritty, suave action hero might be one of Hollywood’s dumbest ideas. It is fitting that the trailer ends with Eckhart saying, “this ends tonight.” Finally, such a cliché has some meaning: maybe this will be the last time a movie like this gets made. Vampire Academy- I thought Hollywood was finally done with teenage vampires after “Twilight” ended. Maybe this one was stuck in development hell for a long time, or there really is a chance that vampires are still a thing. “Vampire Academy” is a waste of both talent and brain matter. It is directed by Mark Waters, who most famously directed “Mean Girls.” So at least it will have an audience with BuzzFeed writers. 22 Jump Street- It was something of a little miracle that “21 Jump Street” was so good. This was the same case with “Anchorman,” and “Anchorman 2” showed that lightning doesn’t always strike twice. I hope that isn’t the case for “22 Jump Street,” a sequel that is more inevitable than necessary. As long as “22 Jump Street” stays true to the originals hilarious and self-aware nature, then it can be a success. Labor Day- I am convinced that the Jason Reitman that directed “Labor Day” is an impostor. The real Jason Reitman might be somewhere with duct tape over his mouth. “Labor Day” looks more like a Nicholas Sparks movie than a work from the brilliant director of “Young Adult” and “Up in the Air.” I am crossing my fingers that “Labor Day” just suffers from a very bad trailer. From now on, Reitman should stick with what he is good at: collaborating with Diablo Cody. The Monuments Men- “The Monuments Men” has an interesting premise for a war movie, and it is directed by George Clooney. That’s a good start. However, it was supposed to come out in December, but its release date was pushed to February. The months of January and February are usually a death sentence. Although maybe this is actually a smart marketing ploy, as there was already too much competition in December, so the film could make a killing in a less crowded field. Still, with all of that extra time to tinker with the film, couldn’t they have come up with a better title? Noah- Just like with “Labor Day,” “Noah” doesn’t look like something this director would actually think. This is Darren Aronofsky, the guy who directed “Requiem for a Dream” and “Black Swan.” Yet, “Noah” looks like a rip-off of “2012,” a film that was already a rip-off of countless other blockbusters. Maybe my skepticism also has to do with the fact that I can no longer take Russell Crowe seriously after his “singing” in “Les Miserables.” Basically, Aronofsky should be directing smaller stories like “The Wrestler.” Yet, he always surprises me, so maybe “Noah” is another “Black Swan” waiting to happen. A Million Ways to Die in the West- Westerns are few and far between these days, so I try and cherish every single one that still manages to get made. Even better, this is a western comedy starring Neil Patrick Harris and Sarah Silverman. However, it is also directed by Seth MacFarlane. I gave up on “Family Guy” years ago when it started to become a parody on itself (“South Park” ruined it), and the reason that “American Dad” is so great is because he is not actually a showrunner. MacFarlane recently made his first foray into film with “Ted.” “Ted” showed that he had a heart, but it also proved how grating his idea of comedy can be. For instance, “Ted” has a parody of “Airplane,” which is already a parody. Parodying a parody just seems self-defeating. Hopefully, “A Million Ways to Die” has less “funny” flashbacks and more funny characters. This entry was posted in 2014, Interstellar, Jason Bateman, Muppets Most Wanted, Sequels, Seth MacFarlane, Vampires, Wes Anderson on January 8, 2014 by ian0592.